Another Underground Priest Is also Released. Stamford, Connecticut, U.S.A. - The Cardinal Kung Foundation, an advocate of the underground Roman Catholic Church in China, reports the release by the Chinese authorityof the following two underground Roman Catholic clergies from jail by the Chinese authority. A Roman Catholic Bishop, Zeng Jingmu, 78, arrested in November 1995 and sentenced to three years of labor camp, was released from jail yesterday. He is now under house arrest. He is not allowed to see anyone except for his close relatives. He was one of the 30 prisoners whom the U.S. Religious Delegation specifically requested the Chinese authority to release during its recent visit to China. 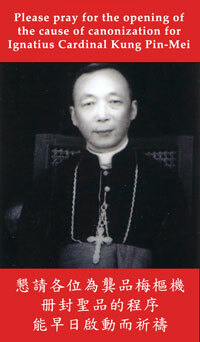 Bishop Zeng was ordained a priest in 1949. In 1990, he was appointed by the Vatican and consecrated as Bishop of Yu Jiang in Jiangxi Province. The Chinese government deemed Bishop Zeng's religious activity illegal because he reported directly to the Pope and belonged to the underground Catholic Church. Consequently, he was arrested many times for carrying out his pastoral duties, totaling 32 years in jail from 1955 to 1976, 1981 to 1989, and intermittently from 1994 through 1998. Bishop Zeng is very sick at present. Father LU Genyou of Baoding Catholic Diocese, Hebei, who was arrested on Palm Sunday April 5, has also been released recently. Noother details are available. "We welcome the above two releases. However, until the Chinese Government starts releasing large numbers of prisoners of conscience, and stops arresting any more dissidents, these two releases should not be prematurely and naively taken as an evidence that President Clinton's policy of constructive engagement is bearing fruit. Besides, to transfer Bishop Zeng from a labor detention center to house arrest can hardly be called a true release. "We hope that the release of Bishop Zeng on the eve of President Clinton's visit is not merely a symbolic gesture to welcome the President of the United States. The Chinese Government must give Bishop Zeng complete freedom in his twilight years to practice and to carry out his religious duties without further interference from the government. In the meantime, we wish to remind the world that there are about 30 documented arrests of Catholic Clergies and probably thousands of other undocumented arrests of Catholic and non-Catholic religious believers. They too await their releases from jail. The world must not forget them." 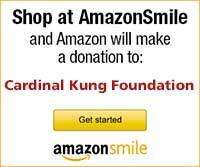 said Joseph Kung, the President of the Cardinal Kung Foundation.